These days you have to do something pretty different to stand out in London’s crowded cafe market, so it’s no surprise to find coffee shops popping up in unusual locations. For example, The Attendant has been cunningly fitted into the shell of a Victorian gents’ toilet just off Great Titchfield Street. Using the old urinals and tiles (after a very good scrub I hope), this quirky venue is hard to find but even harder to leave. 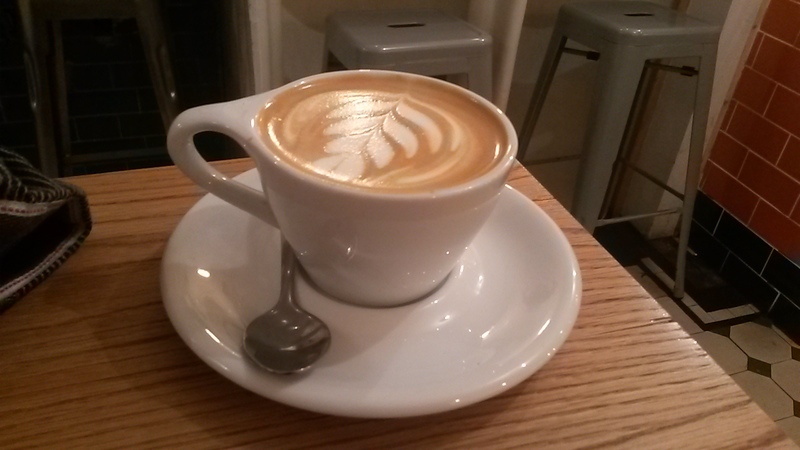 Using Caravan coffee, this was an excellent cappuccino passing the Goldilocks test – not too hot, not too small, not too milky. And at under the dreaded £3 mark, it was not too expensive either. It doesn’t score full marks as it didn’t blow me away – some of the Wow factor and flavours were slightly lost somewhere along the way. You’re either going to love it or hate it but you have to admit it’s pretty unique. 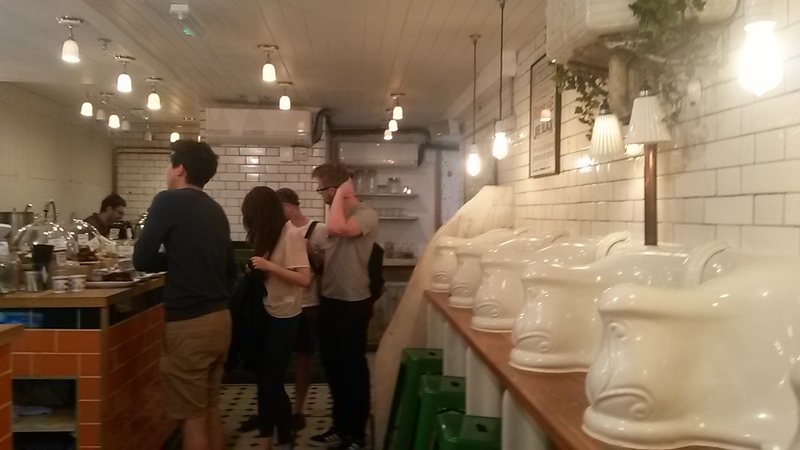 They’ve cleverly used the old urinals as single seating booths and have kept a lot of the original features without giving you the feeling that you’re eating and drinking in a toilet. 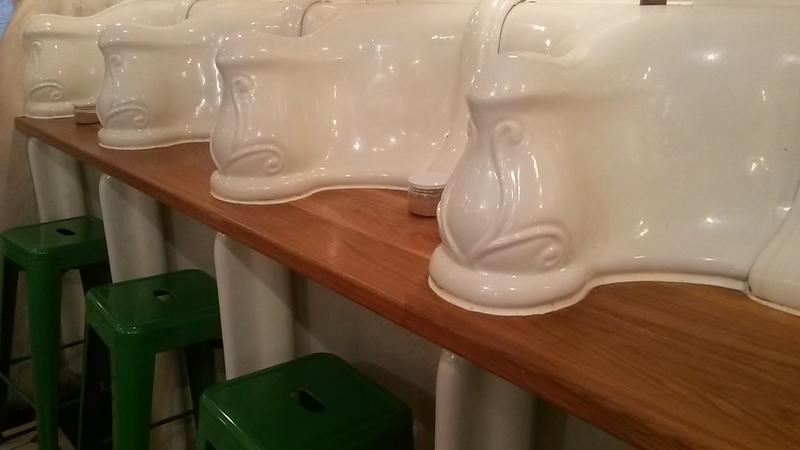 Whether you can get past the toilet visuals, like the hand dryers and old cisterns, is up to you. The down sides are that, being an underground loo there’s not windows and it’s not really set up for groups. 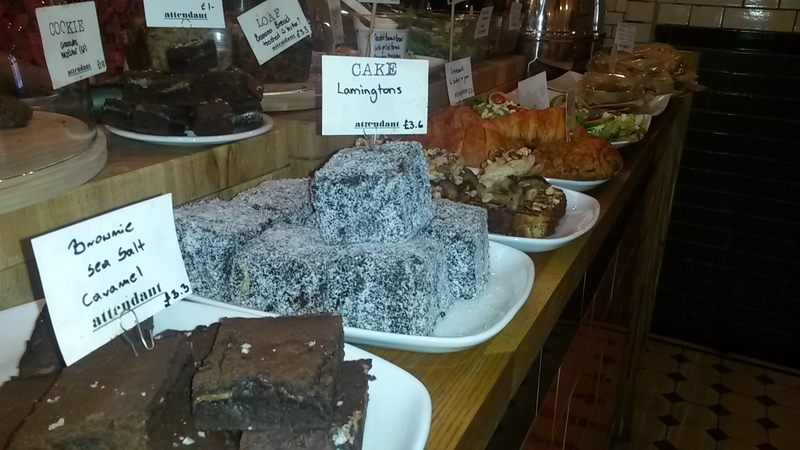 For a small venue, it has a good selection of sandwiches and baked goods made on the premises. Its little kitchen creates uses food provides by its nightly picker at New Covent Garden Market. Breakfast include almond milk porridge or for lunch you can have a roast veg and goats cheese sandwich. Fast and friendly, the attendant as The Attendant did everything except try to spray you with aftershave and ask for a pound on your way out. They provide catering for external events but that’s about it. 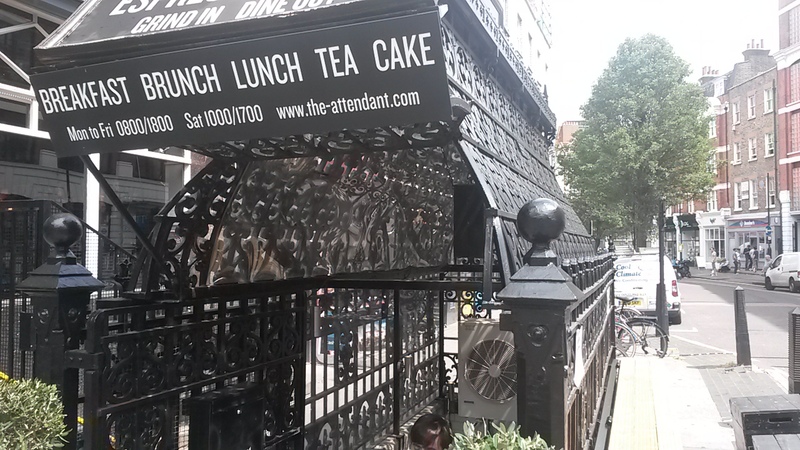 Having made great use of this forgotten space, they could have rested on their gimmicky laurels – instead they’ve produced a cafe to rivals its over ground rivals. They do a kerb-side service. If you ring the bell at the top, they’ll come up to take your order then send your coffee up to you.